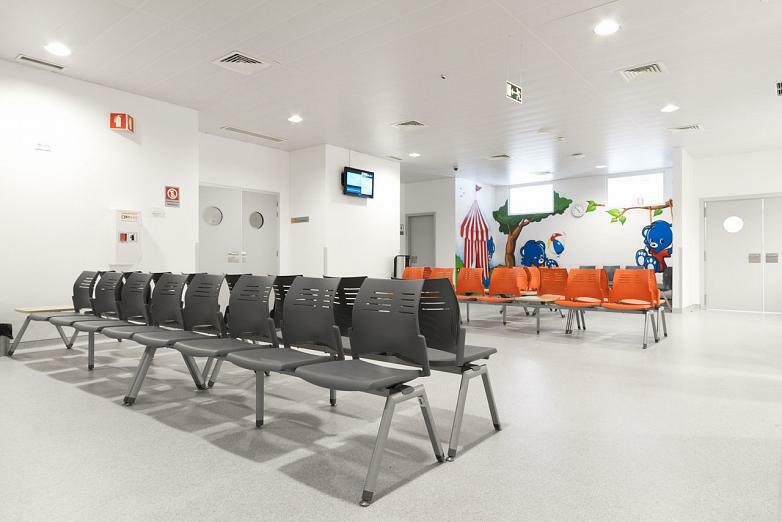 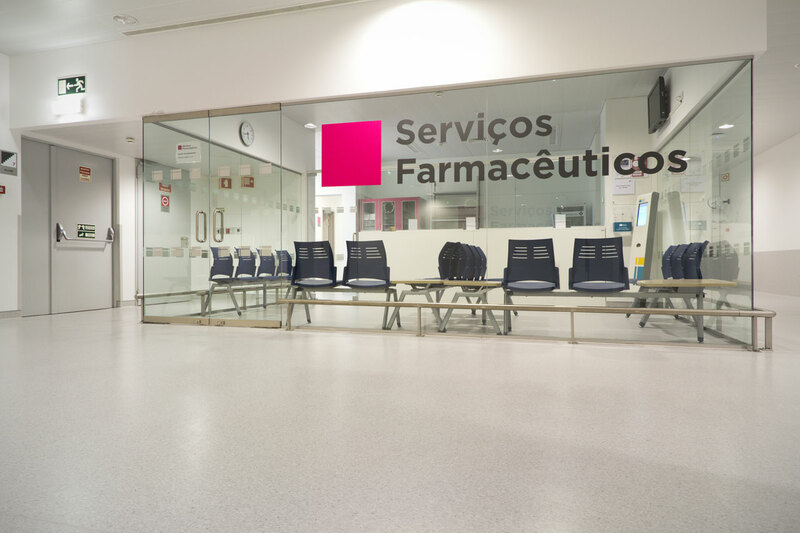 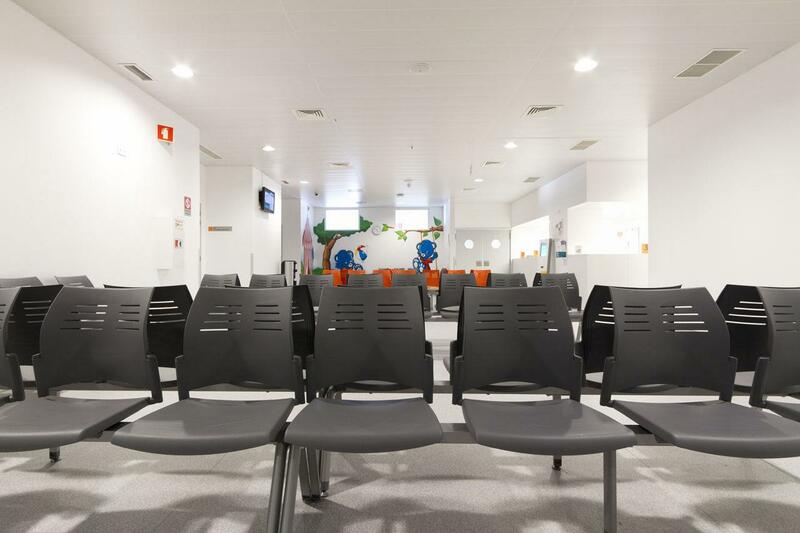 The new 'Beatriz Angelo de Loures' hospital, located in the metropolitan area of Lisbon, is the fourth hospital created on a public-private management model in Portugal. 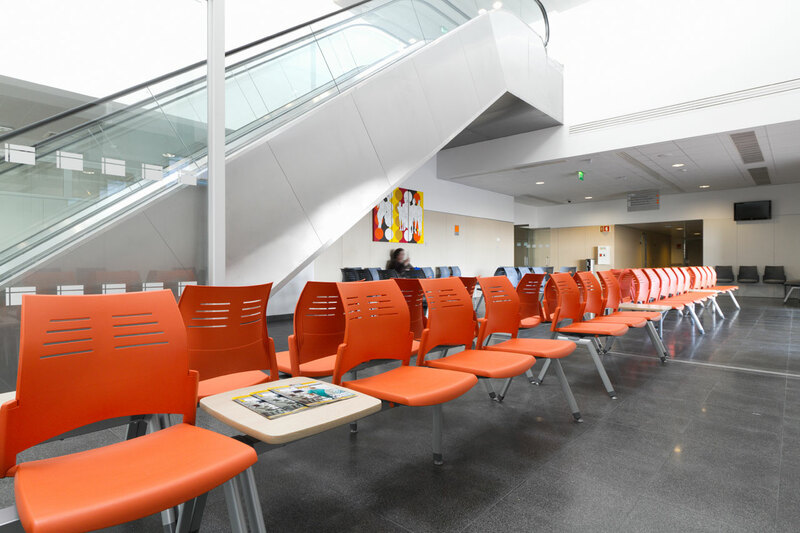 The Beatriz Angelo hospital project was developed by a private consortium Consis Loures led by Espírito Santo Saúde and Dalkia. 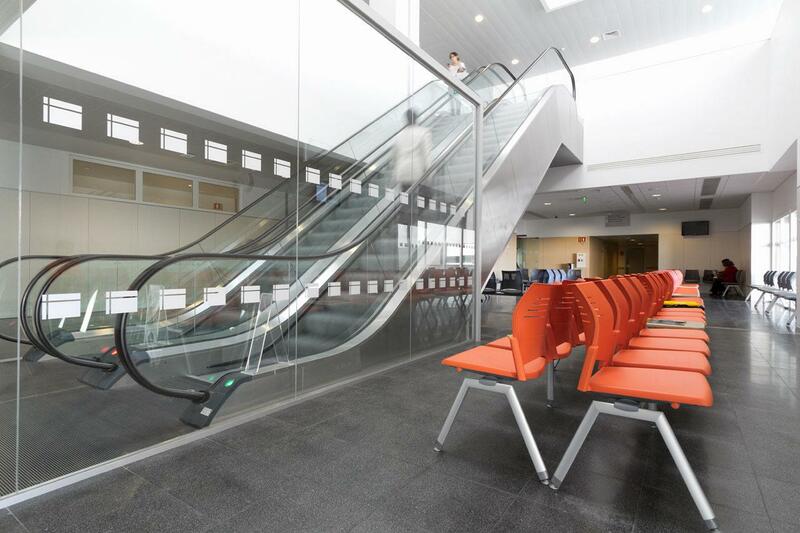 The authors of this project are Albert de Pineda and Saraiva+Associados. 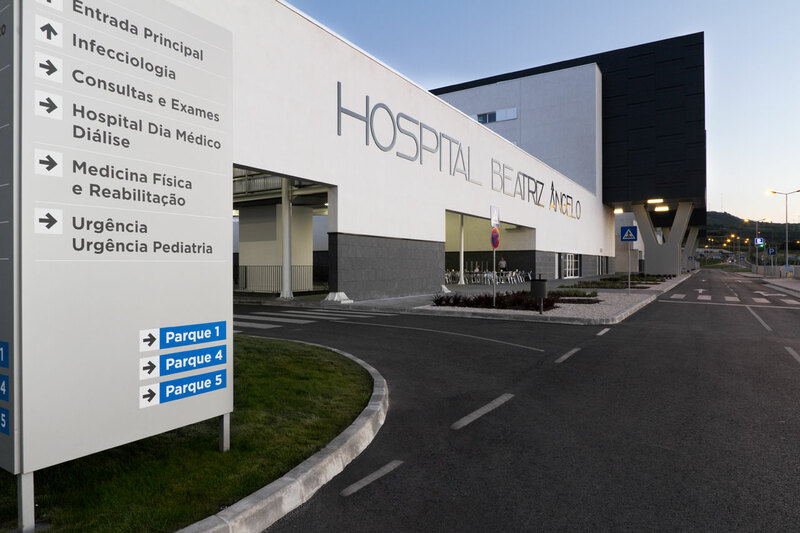 The hospital, which will serve a population of 278.000 inhabitants, has 424 beds, 44 doctors consultancies, 8 operating theatres, 3 operating rooms for caesareans, 5 delivery suites and 64 positions in the day hospital. 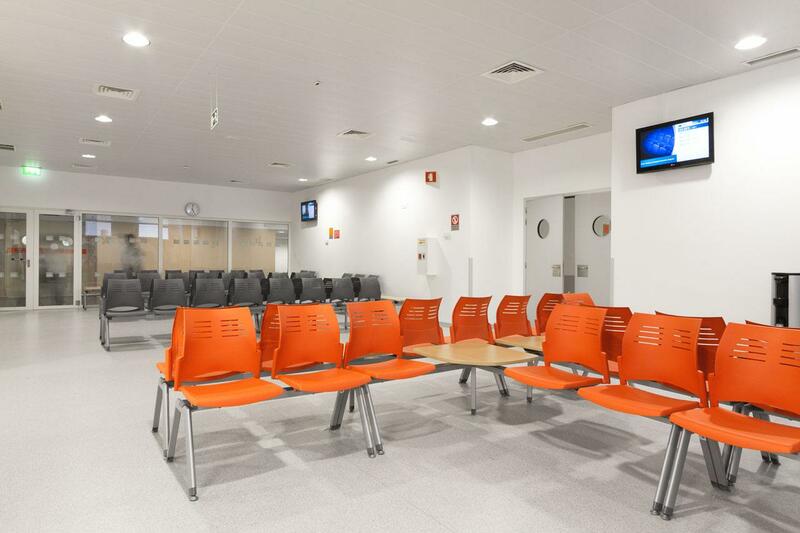 The architecture of the building, carried out under the concept of ‘Curing architecture’, the clinical teams and the organizational model enables the best efficiency in resource optimization and an improved hospital care to citizens in the region. 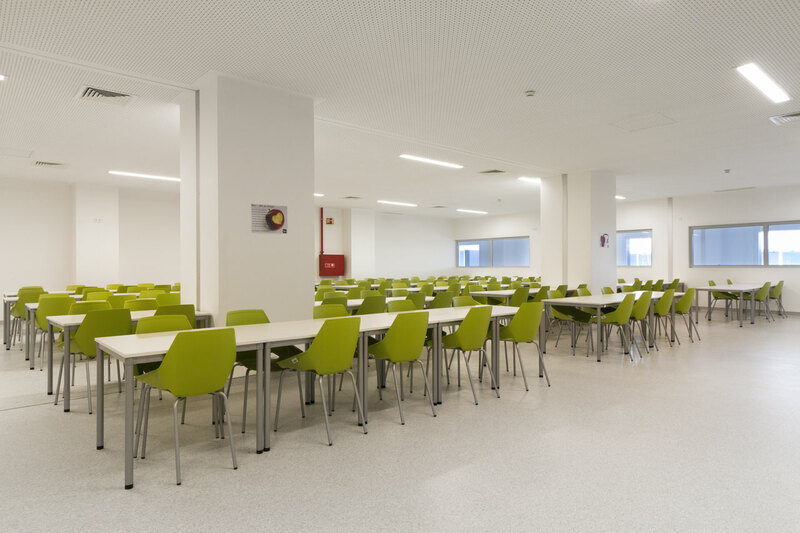 The five floors that make up the building mass are broken up by courtyards and openings in the facades, which are consciously designed to capture constant natural light, the ability to enjoy the views which the surroundings offer and the best natural ventilation. 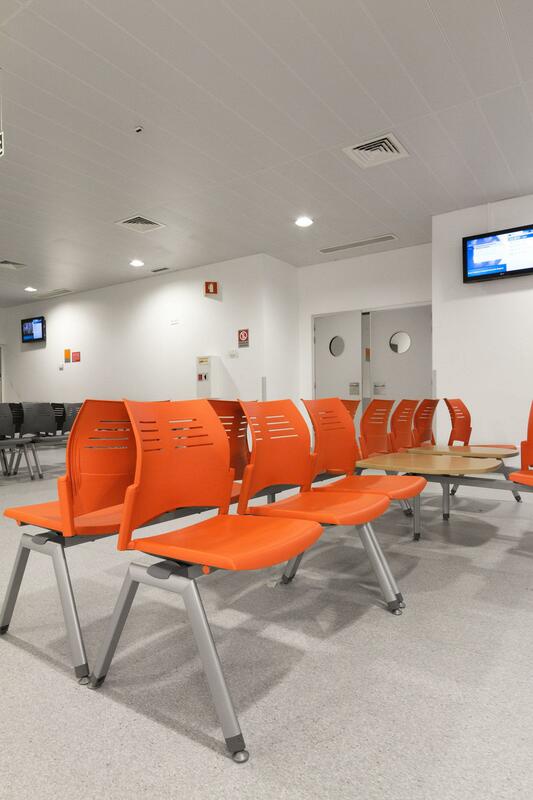 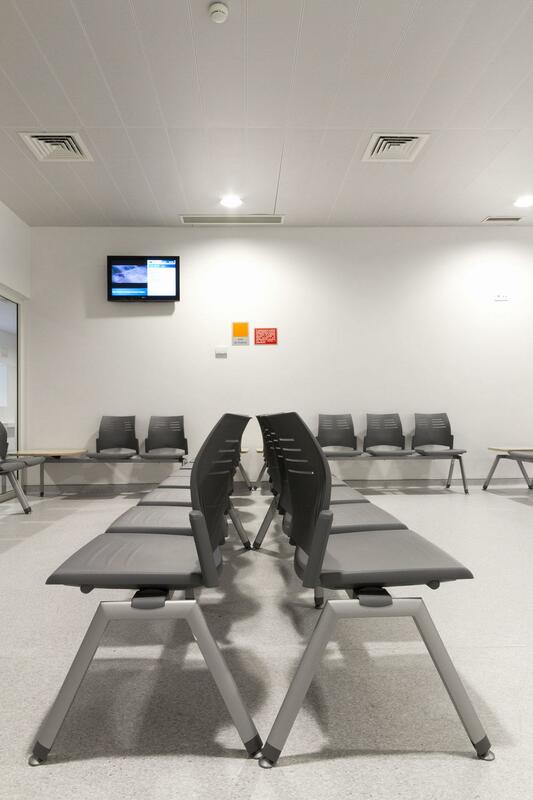 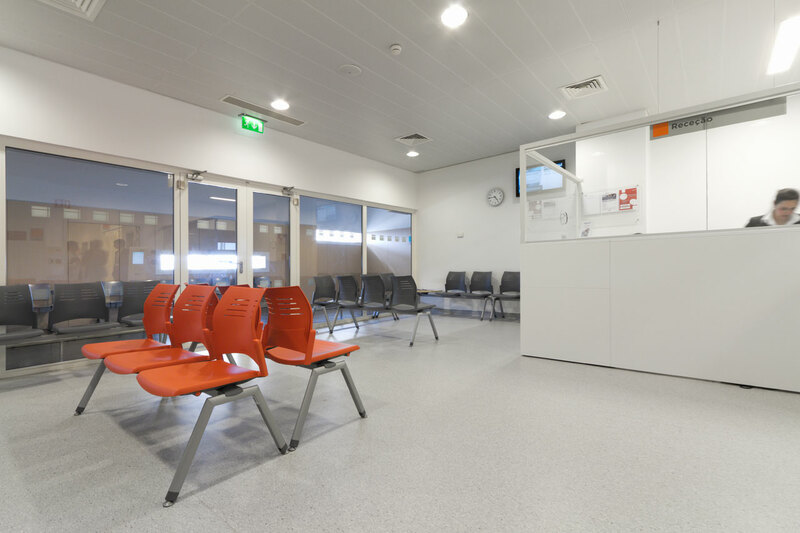 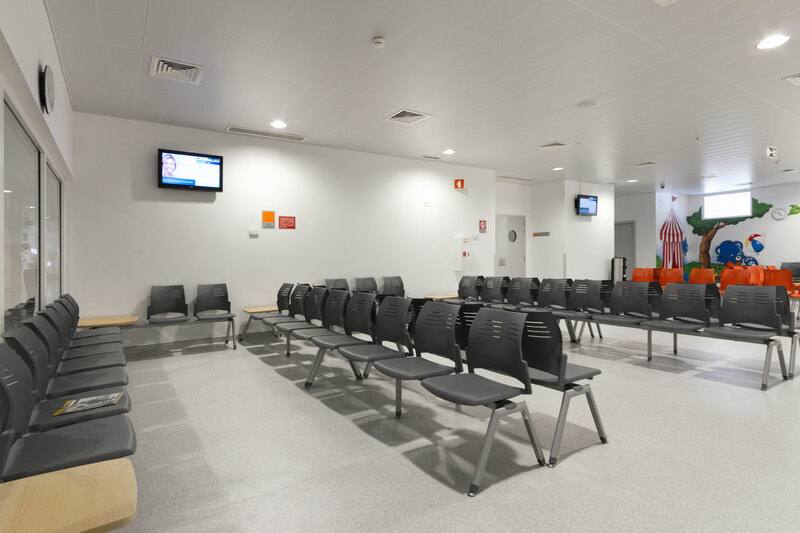 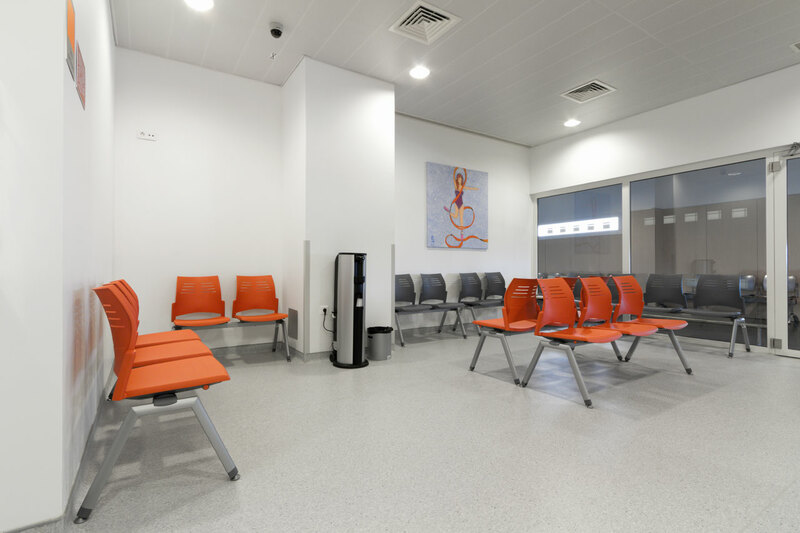 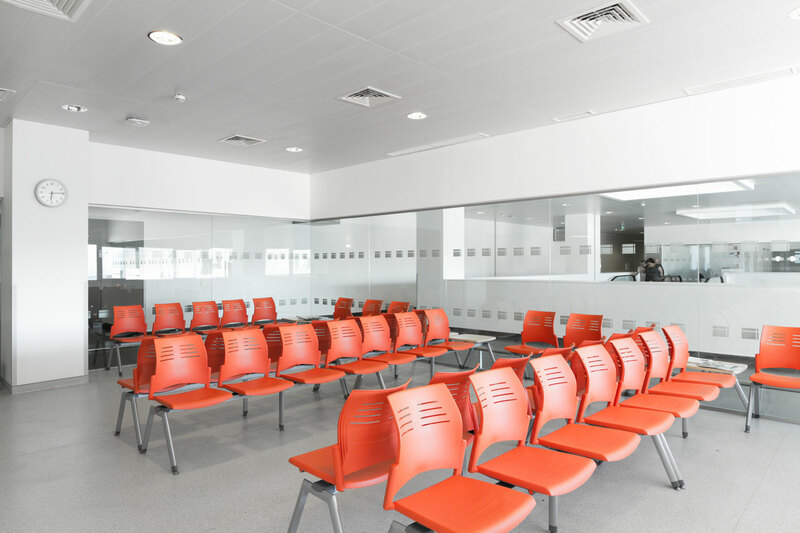 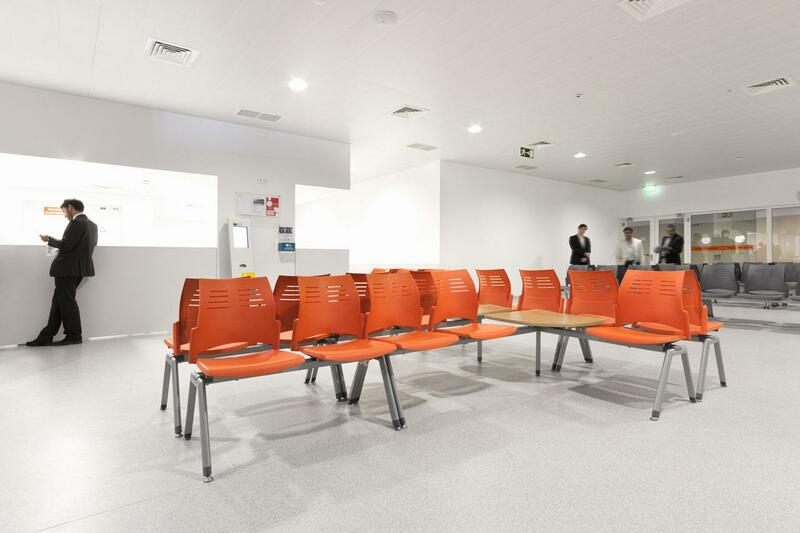 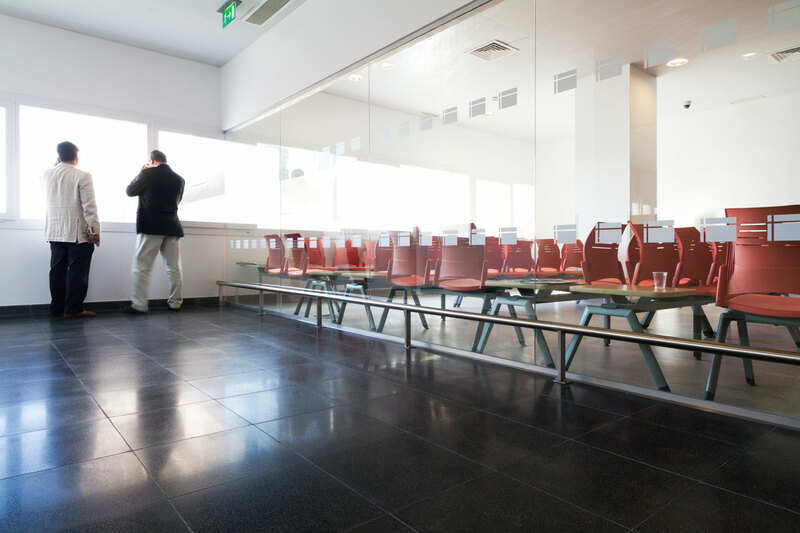 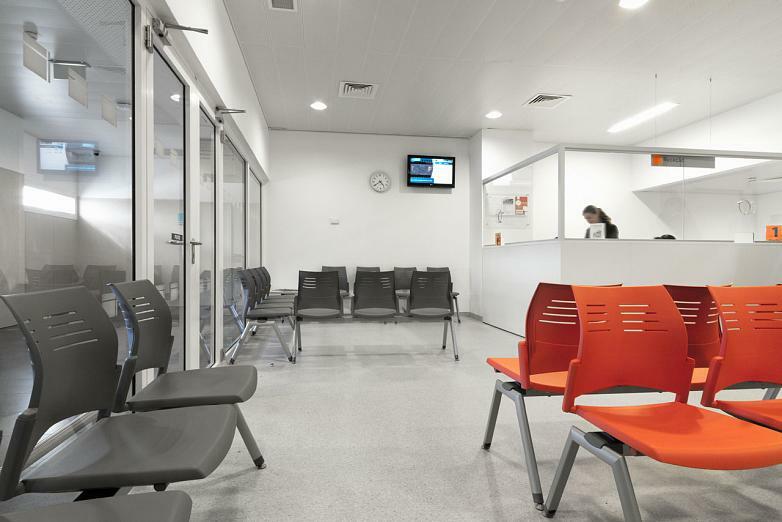 The Spacio bench covers the open plan waiting areas. They are manufactured in polypropylene and fibreglass and can be chosen from a range of colours. For this installation the combination of charcoal grey and orange was chosen to contrast the great luminosity which characterize these communal spaces. 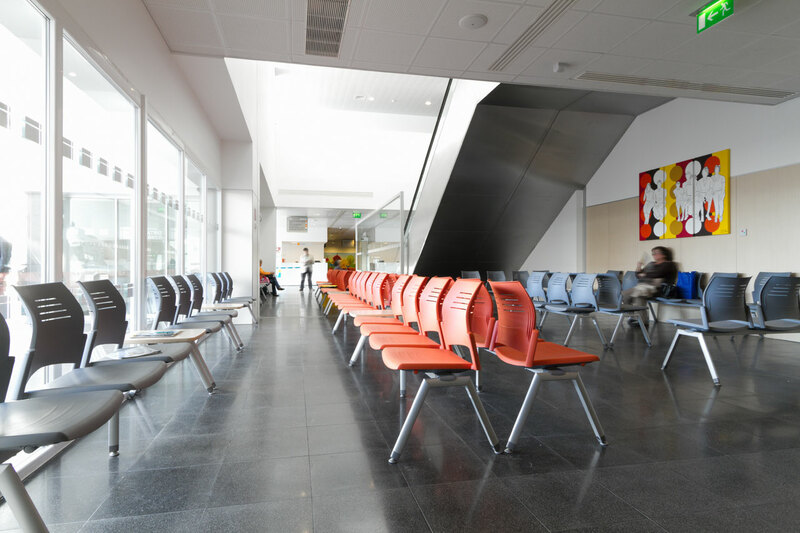 The benches are structured, depending on the surface available and the needs required in each area. 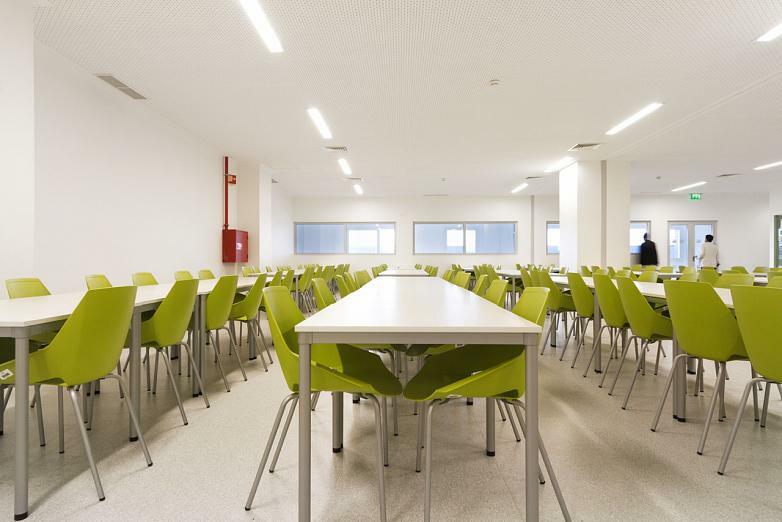 Furthermore, we can find long benches with up to eight seats or smaller combinations of two by two with a melamine auxiliary table. The cafe has been furnished with a program of Canteen tables in its high version, 110 centimetres, which serve as a support point whilst having a coffee standing, a more light and casual way. 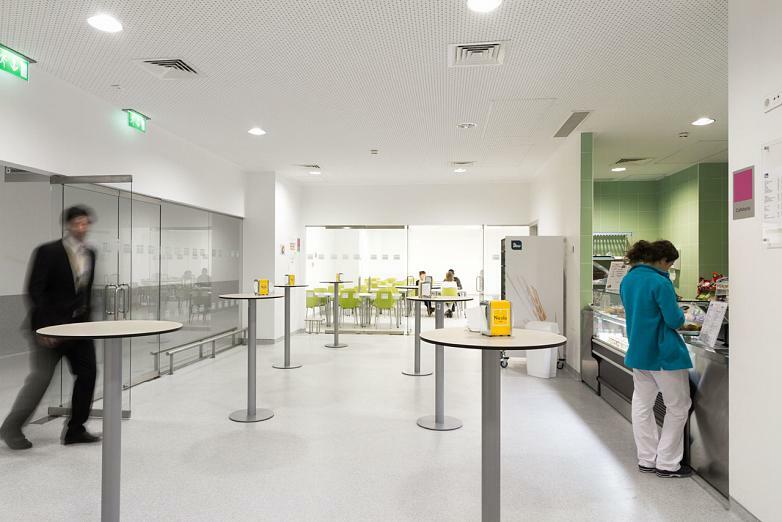 Next to the cafe you can find the restaurant and dining area. 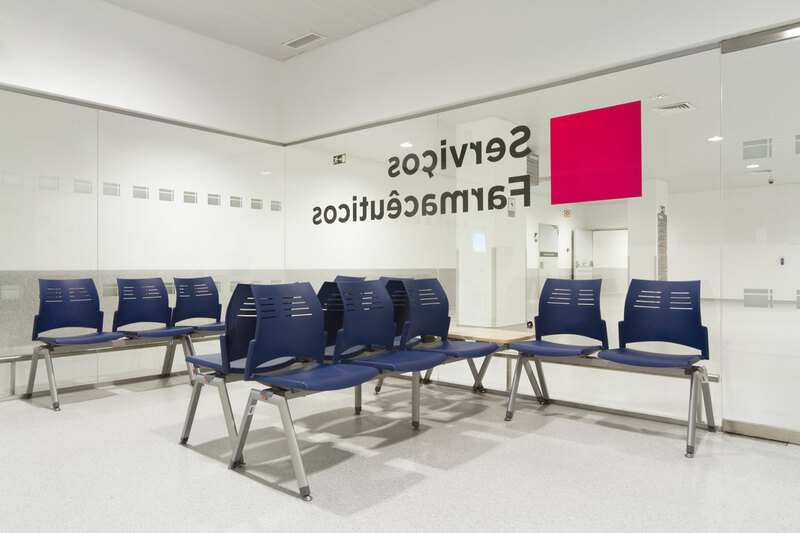 In this case the Dynamic desk has been used, with a white surface and aluminized legs that cover the space in a linear way. 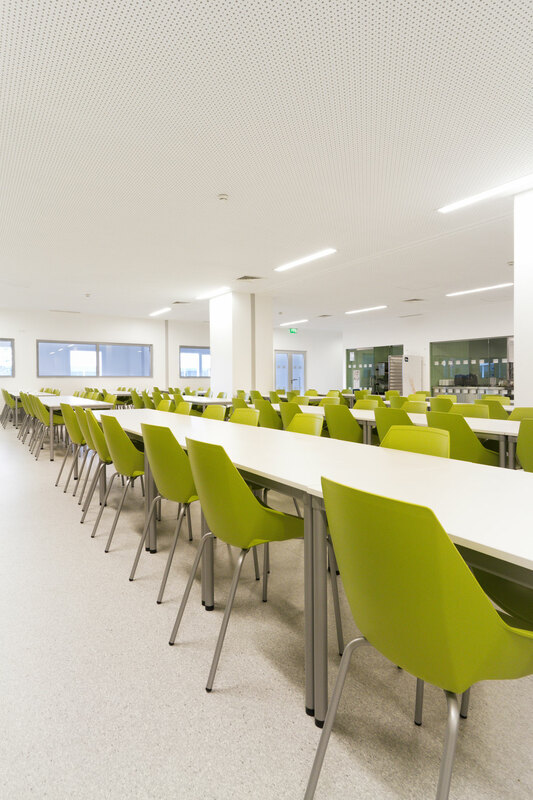 The Viva chair, in pistachio green, adds a note of colour. Both the seat as well as the back are manufactured of double injected SEBS material on top of a rigid shell made of PP with mineral particles, which enable a soft padded surface and the hardness necessary to resist intensive use.